itch.io Community » Game Development » Release Announcements · Created a new topic Retro Knight 3.2 is here! Huge update for Retro Knight. Very much worth the update! Think of this game like Animal Crossing, but with a sword and booze, or old school Zelda if the map was 100x bigger and the game had a goofy sense of humor. So what's new with v3.2? - Dozens of new armors including parodies of Ghostbusters, Ninja Turtles, Star Wars, and Tron. There are just so many updates and new features that I had to list them elsewhere: http://www.retroknight.com/update.php. You can play it for free at my site, or download for Mac or PC here: https://noahbwilson.itch.io/retro-knight. Also available for in the Apple App Store and Google Play. Just $2 for the entire game and all future updates (I have a ton planned). No in-app purchases. Shocked this is even a topic to discuss. Flash makes it super easy to do, but everyone just hates on it. Record/edit footage. Convert to .flv. Import to timeline. Export as .gif. Bringo. itch.io Community » Game Development » Release Announcements · Created a new topic Retro Knight! 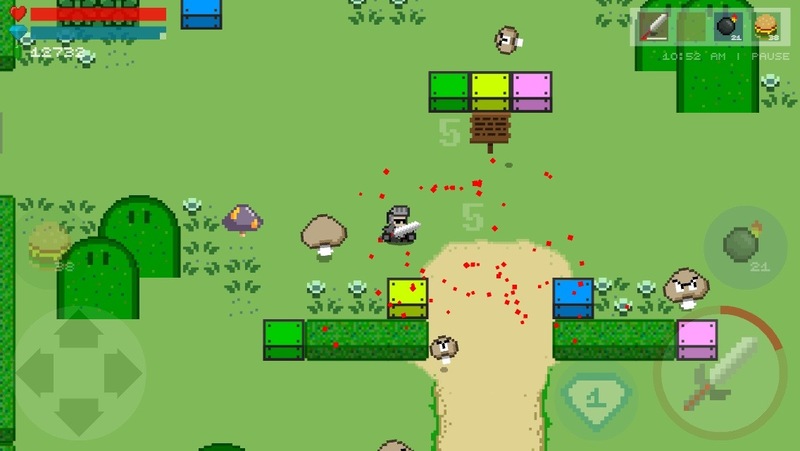 A massive, goofy, action-RPG for iOS, Android, and Browser! • Venture over the countryside at your own pace, exploring where you desire in this free-roaming map full of secrets. There's always something to do! • Buy your own house (or four) to store more items, decorate how you like with a built-in map editor, and even take a nice nap! • Enjoy a world that operates on a real-time clock! Weather patterns, night/day changes, traveling shops and events, and even sales in select stores! • Accept daily orders from your King to earn Badges and unlock new, top secret areas. • Compete against other players in high-score specific arcade areas, or simply to see who has eaten the most tacos. • Go Farming! Grow your own foods (and weapons!). There are entire games devoted to farming, and yet its only like 5% of this game. • Equip dozens of different weapons, armors, and equip hundreds of different items, accessories, and magical tools (some of which might have been borrowed from other classic retro games). • Pick up arcade-style power-ups to unleash new abilities on the monsters that long to eat you like the Fire Sword or Bottled Lightning. • Shop at over 100 different stories in nearly a dozen different towns! • Enjoy classically-inspired elements from retro games like Super Mario Bros., The Legend of Zelda, Bubble Bobble, Castlevania, Joust, Balloon Fight, Metroid, Mega Man, Pac-Man, Donkey Kong, Bomberman, and more!